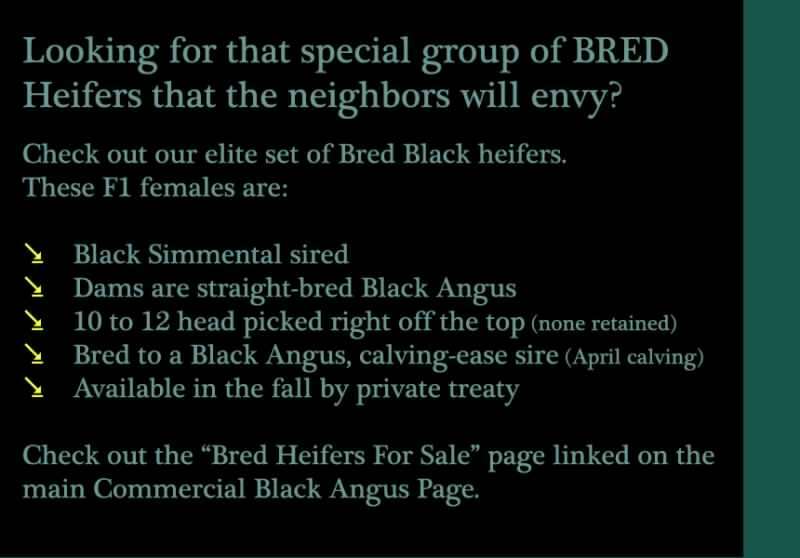 Black Angus Heifers we've retained for the future of our commercial herd. Each year a total of 20 to 35 home-raised heifers are retained. Although ran and managed the same - the family members tag with their own set of numbers on different colored tags. This allows us to keep records on the individual cows performance through the years as well as tag each calf at birth for sorting pairs to their respective summer fields. It also makes age verification possible on an individual basis. The following group of heifers are our replacement females. 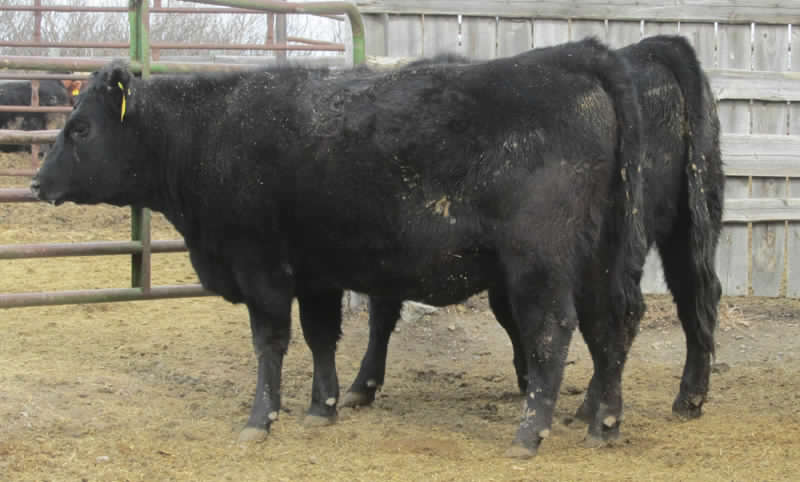 Bred to home-raised, calving-ease bulls, they will start calving in early April. Photos taken 2 weeks prior to calving. Photo gallery - click any photo for larger view.